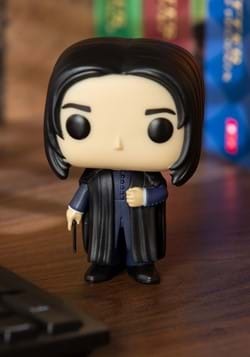 The most famous Slytherin, without a doubt, is Tom Marvolo Riddle AKA Lord Voldemort AKA the wickedest wizard to have ever lived. 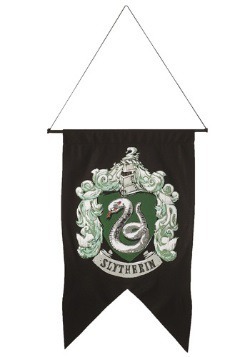 Not to mention, Draco Malfoy AKA a big pain in Harry's rear end is also a proud member of the clever Slytherin clan. 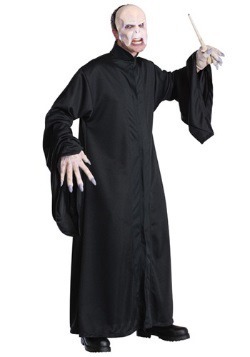 Needless to say, these conniving wizards give Slytherin students a bad name... but we assure you, they aren't all bad! 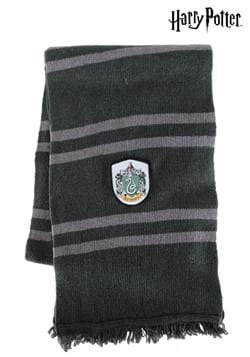 If your son or daughter believes that being accepted into the Slytherin House doesn't solidify their status as a degenerate wizard either, then gift them with this robe and watch them singlehandedly change the negative stereotype. While they are outfitted in the robe, they can do nice acts for people like holding doors open and exhibiting manners, instead of using charms to give Gryffindor students atomic wedgies. 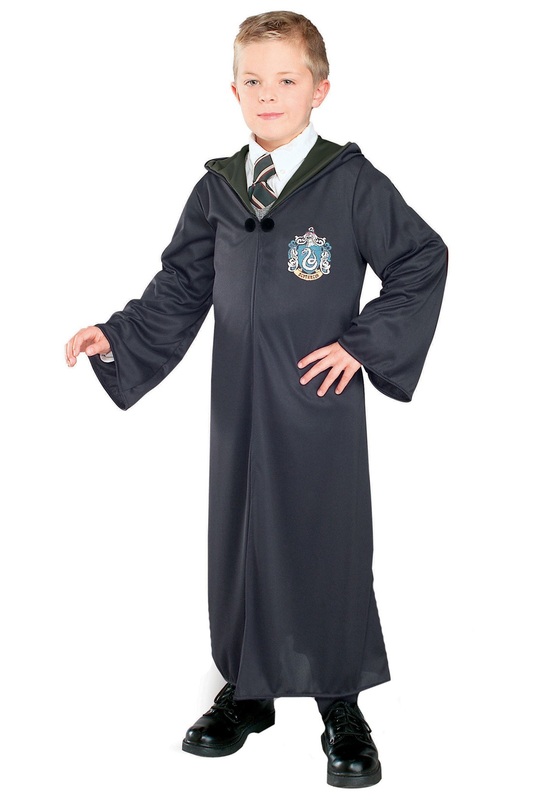 The more time your child is wearing the Slytherin robe while doing courteous acts, muggles, witches, and wizards alike will begin to warm up to all those sorted in this House. 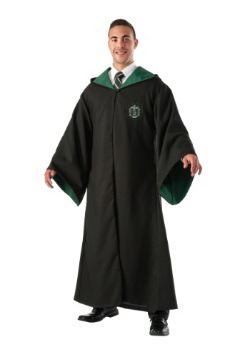 This officially licensed Slytherin robe will give Slytherin supporters an officially licensed look. 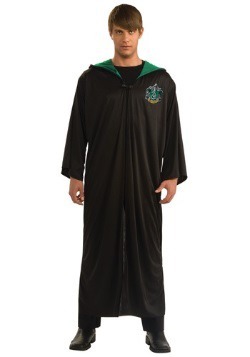 The long black robe has green inner lining and an attached hood that looks great either worn up or down. 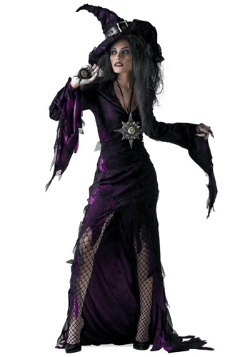 Use the clasp to fasten the robe together and highlight the screen-printed serpent crest on the chest. 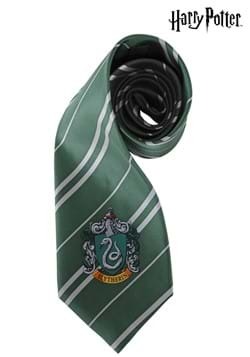 Because of your child, the wizarding community will start seeing Slytherins students in a positive light... finally!